Looking for a digital drawing tablet? Ipads, tablet PCs, slates, phones, Surface Pro…. it’s overwhelming. 2013 has brought many new tablets. If you’re curious about using a tablet to do digital art, this article might help you navigate your way. For much more info, please visit the site Tablets for Artists, which has detailed reviews and info and keeps current. What are the best tablets for artists? Hint: not the Ipad. While the Ipad brought tablets to the general public, it’s not optimal for most professional artists. To do professional illustration for print, you are much better off with a tablet that can handle high-resolution files and full art programs such as Photoshop. Digital art can be very resource-consuming. Another must-have is pressure sensitivity. Pressure sensitivity lets you vary line and shades of color depending how hard you press. If the tablet specs say Wacom Penabled, that means it’s pressure-sensitive. The levels of sensitivity are 512, 1024, and 2048. I think 512 is acceptable and 2,048 or 1,024 levels probably does not make much difference to the human eye unless you’re one of those people who draws 8,000 harp-strumming angels dancing on the head of a pin. Get the highest levels you can–I just would not spend a ton more on it. 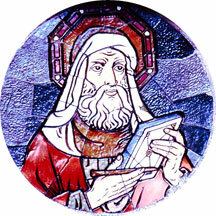 All slates are tablets, but not all tablets are slates. Tablet PCs are laptops with clamshell cases. The screen rotates on hinges and you fold it down to cover the keyboard. That’s called a convertible tablet. With slates, sometimes there’s an attachable keyboard. If you’re not using the analog keyboard, there is a digital one. NO: iPad. The iPad has no pressure sensitivity. Lines and shading are uniform. You use apps, not full art programs. There are art apps that do high res, and it’s possible to do great art on the iPad, but overall it’s better as a sketchbook. The iPad’s screen is capacitive, meaning touch-sensitive. You can draw using your hand or a stylus. This capacitive screen is the technology used in ATM machines. It’s not the most precise and therefore not the best for art. I’ve tried a Wacom. pressure-sensitive stylus with Ipad. Gimmicky. YES! : Wacom Cintiq. At about $900 for the new HD 13″, you’ll be getting a wonderful tool with 2,048 levels of pressure sensitivity, way more than anyone would ever need. (I still use the older version that has “only” 1,024 but this is more than enough.) There’s also the super fancy, very heavy 24″ used by professional animators. You attach the Cintiq to your computer. The Cintiq is a monitor, so whatever is on your screen will also be on the Cintiq, either duplicated or extended. You duplicate to draw with. It’s a drawing tablet with a screen. You can use your Cintiq with the next computer, something to consider since computers become obsolete quickly. Cintiqus seem to hold their value pretty well if you want to sell them. There a few different stylii, from regular to felt-tiplike, are each about $60. You can use a Cintiq with a Mac (you need an adapter for the DVI cable), a PC, laptop, or desktop. You cannot use it with an Ipad. Cintiq cons-unit plus cords weigh 10 pounds, not very portable. Some issues with color and line jitter near the edges, at least on the older models. I would say the Cintiq is the best tablet for artists. The Cintiq is a dedicated art tablet. On an odder note, it can be hard to get a Cintiq through airport security. They grab the Cintiq and at one airport they dusted it with explosive-detecting powder. I feel so safe. 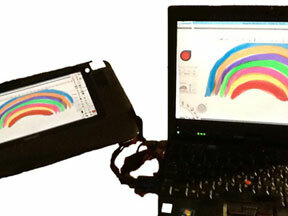 Tablet PCs have varying degrees of pressure sensitivity, check specs. Most have resistive screens, best for drawing and requiring a stylus (no finger painting). The screen swivels so you end up with a flat computer. These are laptops. (I know the terms are confusing. Slates are also PCs but they are flat with no clamshell). Though it’s easier to find in stores than a lot of other tablet PCs, I don’t recommend the Lenovo x201 for art. It’s capacitive, so you can use your hand or stylus to draw, but it suffers with precision problems. It’s a good computer otherwise. There are many brands of Tablet PC laptops so read specs. Try to get Windows 7 if you can. Win7 works great with Adobe drivers, but Win8, though it’s designed for “touch,” does not. I think this is a matter of Adobe not updating their drivers. I have a like/like thing with the Samsung Ativ Smart PC which is the state of the art portable tablet. Haven’t tried the Asus Slate PC but it’s similar. Slate Cons–have to protect the screen when traveling. Lack of memory (the ATiV, anyway). Not much space to draw. I don’t like using a digital keyboard, though you can attach a keyboard. Watch as this tablet form develops, as doubtless they will make faster models with more memory. Samsung Slate, a fully functioning computer. 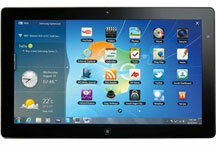 – meaning slates such as Android tablets or Surface RT, these use apps are not powerful enough. Sure you can draw on them but they aren’t great for professional, print-quality art. I realize some may disagree, but after experience and much reading I do think it matters. By “PC” I mean something that’s a full computer. Most tablets are not. Distinguishing between these and “real” PCs is not always easy and is very confusing so make sure you are getting what you want. Real slate PCs do not sell for under $500. The Atom Processor is not powerful enough for artists doing high-res print work. This recent Surface Pro (use the “enhanced tablet driver”) can use the pen with pressure sensitivity in Photoshop but unlike the Cintiq, you can’t get the pen tilt, in other words, it’s less like a real pen. Also, the stylii are not that nice. Similar to the Samsung slates. No-Surface Pro without Wintab drivers. Microsoft added Wacom pressure sensitivity after releasing the Surface. N0- Surface RT since it runs Metro apps, not full art programs, and doesn’t have that much memory. One problem with Windows tablets (both slates and laptops) is a problem with Windows 8 and Adobe. It’s no longer possible to effectively draw using Photoshop. Thin lines skip around. Adobe blames Microsoft and vice versa. I think it’s that Adobe did not update the drivers. Sketchbook Pro works fine so I now draw with that and color in Photoshop. Is there a Mac tablet? Sort of. Besides the Ipad, there’s the Axiotron Modbook, which is a souped-up Mac Book Pro, part Mac, part something else. If you can’t live without the Mac OS and you’re OK spending 3k, then go for it. These are inexpensive, some under $100. They are flat plastic surfaces that attach to computer via USB. A good introduction, the Bamboo drawing tablet and the Intuos Touch tablets are useful and help go beyond just using a mouse. Wacom is known to make the best graphic tablet product lines for artists. Wacom Bamboo graphics tablet and stylus. But should you go digital? I will post about that another time. Will also be writing about low-cost art software. Alternatives. There are other companies that make Cintiq types of art tablets, including one called Bosto, maybe worth investigating. I saw a large, amazing Panasonic slate at JR. There are “digital paper and pens,” best for sketching and writing. Don’t forget good old art supplies and paper. Machines only go so far. The power is in YOU! Still, I love my tablets. So… don’t be a blank slate. Take two tablets (groan) and feel free to leave questions/opinions in the comments. There are exciting free and inexpensive art programs out there, I’ll post about those sometime. Hope this has shed some light on the world of art tablets. I’m happy to answer questions/take opinions in the comments. This entry was posted in art, computers and tech, free resources, illustration, tech for smart dummies and tagged hardware reviews, illustration, tech for smart dummies on September 26, 2013 by admin.